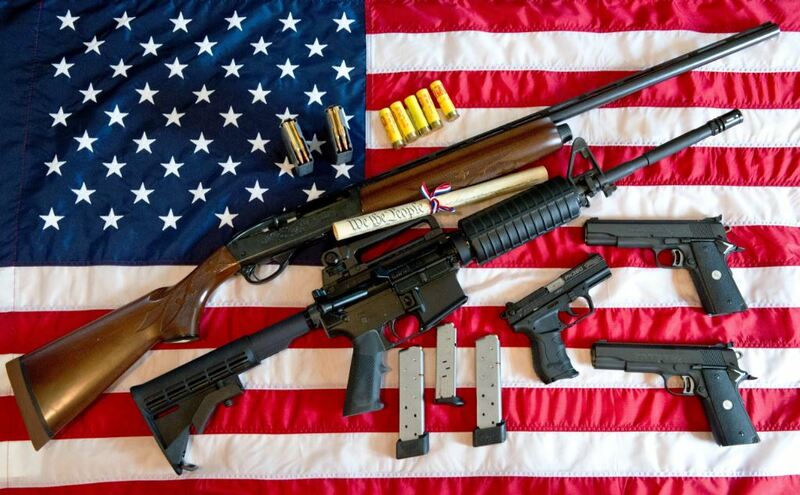 Elected officials: Move beyond the 2nd amendment rhetoric and political dogma and ban these weapons of war in the United States. 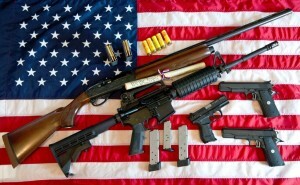 The creators of these weapons did not intend them for citizen use. Military personnel have spoken out against them for use by civilians. 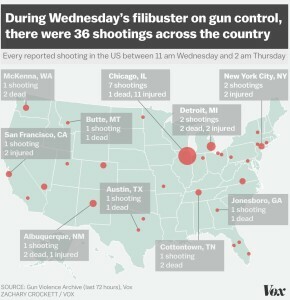 And while the Senate was involved in a filibuster to force a vote on gun protections last week, 48 people were shot in this country. We may never know the true motives behind tany of these massacres, but we do know the automatic weapons they chose to use kill many people very quickly. Children. Worshipers. LGBT. Theatre attendees. 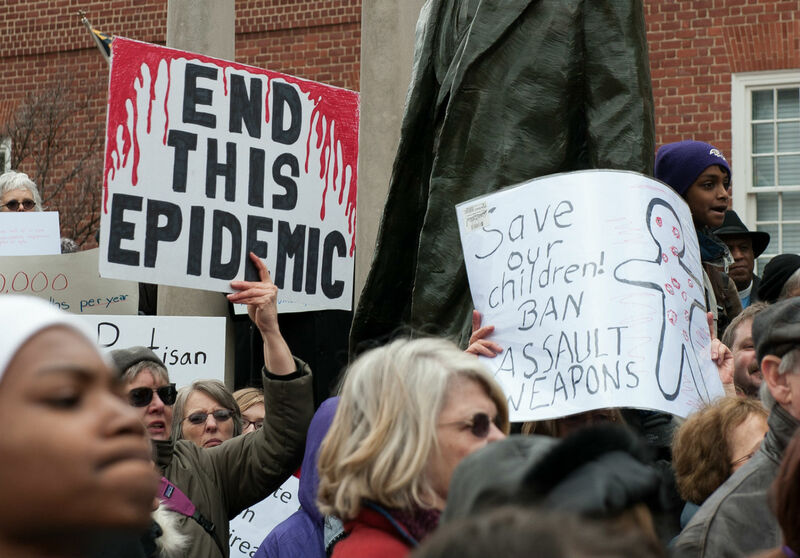 The only underlying motivation to keep these weapons in our country is the political maneuvering of the NRA, and profit seekers. Enough. 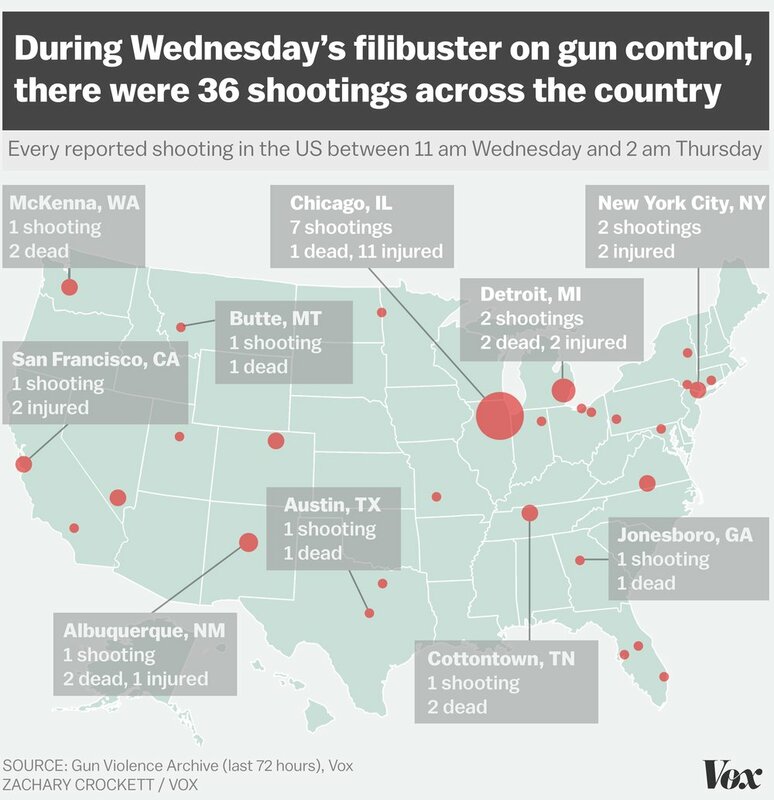 Earlier this week, we reported that on the same day of the Orlando massacre — the largest mass shooting in US history — there were 42 other shootings across the country. June 17 marked the 1-uear anniversary of one of the worst acts of hate violence against African-Americans, in at least a generation. The Orland massacre on June 12th, one of the worst acts against the LGBT community. We have moved beyond the rhetoric of the 2nd Amendment – – the debate is weapons of war in the hands of civilians.